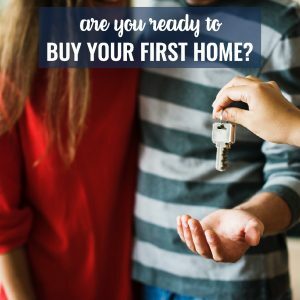 Ready to buy a home? Consider these 5 things first! Is my credit score good enough? There are so many different types of lending options for new and seasoned buyers. These programs can range from 100% financed to 3.5% down to 20% down. This all depends on the lender, guidelines and buyer qualifications. Of course, the down payment is not the only money that a person needs to bring forward during the home-buying process. There also are inspections, appraisals and titles, just to name a few of the fees associated with the closing process. Get pre-qualified with a lender before starting the search for your dream home. Am I ready to be settled? It is important to ask whether or not they feel ready to settle down and stay in one place for a long-term period. No, you don’t have to stay in a home forever, but it may not be a wise decision to buy a home that you plan to leave after a year or two. If you are the type of person who likes to pick up and move to a new place on a whim, home ownership may not be right for you just yet. If your job history, finances and credit are in order, you’ve got to ask yourself what style of home is right for you. Here’s where you need to think short-and-long-term. Right now, a high-rise studio apartment in the city may seem like an ideal location for a single buyer. However, if you’re that buyer and you can see yourself with a spouse or family in a few years, renting that perfect pad may be a better option. In the not-so-far-away future, you may be thinking more of a single-family home in the suburbs! Make sure you look at the bigger picture before picking the home that’s right for you. If you’re a buyer who has considered these five questions, you may be ready to buy a home! Contact a friendly, professional Billy Houston Group real estate agent to start searching for homes today! Winter Is A Great Time to Sell Your Home.